Please fill out the form below if you wish to upgrade to Unlimited Premium. ^nbn™ 100 refers to nominal access line speed, your speeds will vary based on the technology connecting your location to the nbn™ and other factors. The following information has been designed to help provide clarity regarding what actual speeds you can expect when connected to the nbn™ via the different network access technologies, and the factors that can affect your internet speed. What are the main factors that can affect a user's speed? Co-existence means that your connection will share infrastructure with older copper services which will impact the speed that you can receive. 18-month after the initial rollout of the nbn™ the old copper services will be switched off, ending co-existence period and enabling you to achieve maximum possible line speed. How does Network Technology affect my speed? nbn™ is utilising a multi-technology mix for the rollout of the nbn™ across Australia. As a result, different nbn™ technologies have different Speed Tiers (nominal access line speeds – maximum line speed). Your experience, including the actual line speeds achieved over the nbn™ network, will vary due to various factors, as outlined below (wiring, usage and weather). In most circumstances, the actual speed being received will be less than the nbn™ Speed Tier available for that technology. Fibre to the Node (FTTN) Optical fibre is run from the exchange to a FTTN node / cabinet in the street. Hybrid Fibre Coaxial (HFC) Optical fibre is run to the nearest available fibre node / cabinet in the street. This will then connect with a HFC cable which runs all the way to an nbn™ utility box on the outside of your premises. Fixed Wireless An outdoor antenna on your roof receives a signal from a fixed nbn™ wireless tower. How does Network Capacity affect my speed? As more premises access the internet (particularly in peak periods 7 – 11pm) the more pressure (congestion) it puts on a service providers network. As the congestion increases slower broadband speeds will be experienced by users. Congestion issues can be managed by each service provider by purchasing more bandwidth (capacity) from nbn™ as well as the way a service provider configures and shapes their network (network management). MyRepublic has been built specifically to maximise the user experience on the nbn™. We use our own web traffic priority optimisation system to help ensure that time sensitive applications like video streaming remain smooth while also remaining flexible for heavy downloading scenarios. The MyRepublic team is constantly monitoring the network to help provide the best user experience available. How does Home Set-up affect my speed? The quality and condition of your modem / router can affect your internet experience. A device that has been provided by your service provider and certified to work with the nbn™ network will ensure optimal performance, that is why all MyRepublic connections come with a MyRepublic modem optimised for use on our network. The Wi-Fi on your modem / router uses radio signals to transmit data to your connected devices. As a result, the performance of your Wi-Fi can be affected by the location of where you place your device. It should be placed in a central location so that the Wi-Fi signal can travel unimpeded, and away from other electronic devices which may cause interference (microwaves, TV’s). All the modem / routers MyRepublic provides have AC wireless technology which will perform better than ones with the older N technology. The condition of the copper lines / wall sockets within your premises can impact on your nbn™ experience. The copper maybe damaged or suffering from corrosion, the wall socket connections loose or poorly connected. This predominately relates to FTTB / FTTN connections. When there are multiple users / devices connected to the internet at the same time those users are all sharing the available bandwidth. As the number of users increases the slower the speed experience will be for all. As an example, think of the nbn™ network as a highway, and MyRepublic as the gateway to the highway. During off-peak hours traffic should flow freely and quickly. However, during peak periods when traffic on the highway increases, the speed by which traffic flows on the highway will decrease. The ability to manage that traffic, as well as having enough capacity to cater for the increase in traffic can help alleviate congestion / slow speed issues. MyRepublic’s own traffic priority optimisation system and network capacity helps ensure that congestion issues are not experienced by our customers. How does the Speed Tier provisioned on my service affect my speed? MyRepublic provides the choice of either the nbn™ 50 or 100 Speed Tier (nominal access line speed). This depends on your location and the nbn™ technology servicing your address at time of connection. 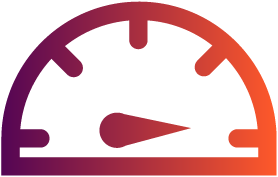 For customers connected to the nbn™ via FTTN or FTTB, at service qualification we provide information on nbn’s™ estimated nominal access line speed available at your location at time of connection. This will determine the nbn™ Speed Tiers from which you can select at sign up. FTTN and FTTB speeds to be confirmed when active, you can downgrade your speed tier to nbn™ 50 by contacting Customer Service. The nbn™ Speed Tiers stated above are the maximum theoretical access line speeds that can be delivered over the nbn™. MyRepublic makes no guarantees of any kind on the actual speed that will be achieved by any individual user as we rely on our supplier to ensure services are provisioned to deliver optimum speeds at all times. Actual speeds may be slower than the nominal access line speed and can vary due to a range of factors such as the content being downloaded by the end-user, your distance and the quality of the copper from the node or basement for FTTN and FTTB services, backhaul networks, and your hardware and software configuration. Devices connected by Wi-Fi may experience slower speeds than those connected by Ethernet cable. Co-Existence Period: A Co-Existence Period may exist for services using nbn™ FTTB and FTTN. During this period exchange based ADSL and/or special services may co-exist on the same network infrastructure as the nbn™ services. In this case, your speed will be affected due to interference from equipment or network provided by other services. Why can’t everyone get Gigatown Speeds? Gig speeds are in MyRepublic’s DNA- we have been instrumental in rolling out affordable Gig speeds in Singapore and New Zealand and MyRepublic believes that Aussies want affordable Gig speeds too. Due to current government regulated wholesale pricing, we would have to charge well over $200 per month to roll out Gig speeds across Australia, which is why MyRepublic launched our Gigatown Competition and thanks to Fletcher Thompson’s winning answer, MyRepublic has heavily subsidised the delivery of Gig services to the residents of Wollongong. If you think Aussies deserve affordable Gig speeds, sign our petition to lobby the Government for a wholesale review of AVC and CVC pricing. © 2019 MyRepublic Pty Ltd.